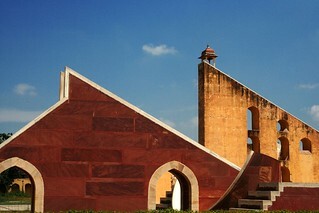 The Jantar Mantar in Jaipur. This is one of 5 observatories built by Sawai Jai Singh. Built between 1728 and 1734, the Mantar is a series of different astronomical instruments. The instruments are still incredibly accurate at telling the time, the season, the date, etc.